Yes, that’s exactly what I do when I see this card, I smile. That puppy is so stinkin’ cute don’t you think? 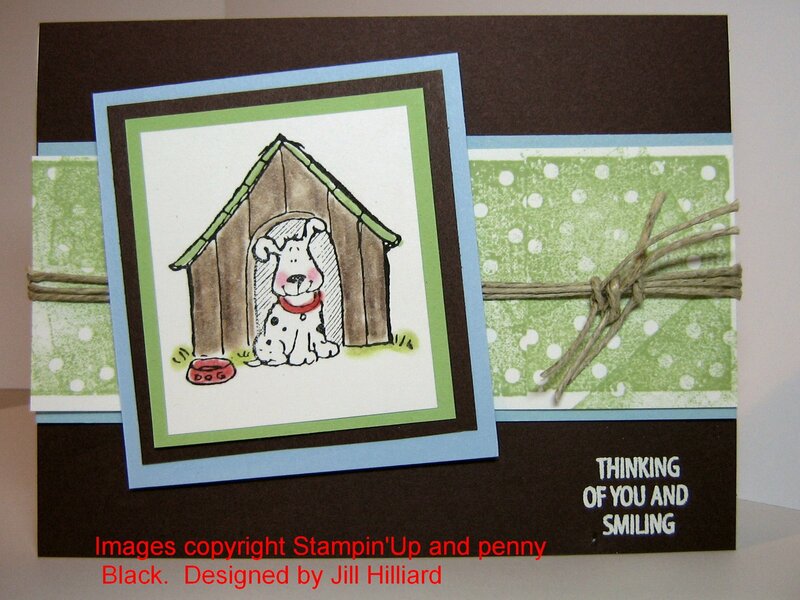 This was another attempt to use my backround sampler and the puppy is a Penny Black stamp. If you look closely, I stamped the polka dot backround in a straight row then stamped off the edges. It gave the strip a little more texture. The sentiment is embossed in white on SU chocolate chip card stock. Bashful blue and celery are the other colors. Three pieces of hemp are tied around the card and there are three smaller pieces tied in knots. 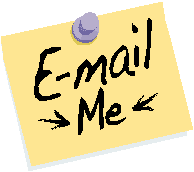 Leave me a comment and let me know what you think. Happy Stamping! He made me smile too, very cute. You do beautiful work, I'm impressed.